Last edited by Chad; 10-15-18 at 06:51 PM. This film perhaps suffers for the main “trick” being done better and more often in future films, but at the time I’m sure it was quite stunning to see the miniature effects. Even got an Oscar nomination! The color is a bit garish perhaps, but I liked it. 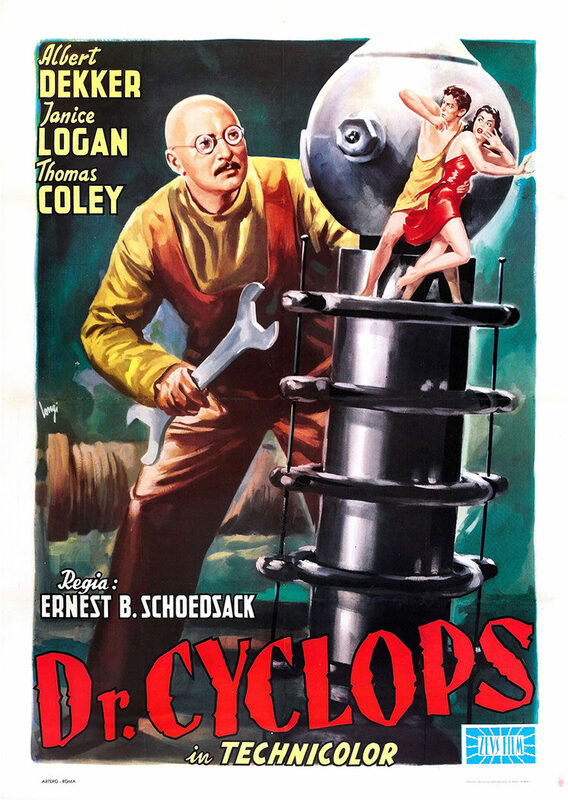 The acting is a bit blah, but overall it’s better than your average mad scientist film of the era. I love that it got me to finally open my Classic Sci-Fi Ultimate Collection volume 2. I’m looking forward to checking out the other four films therein. 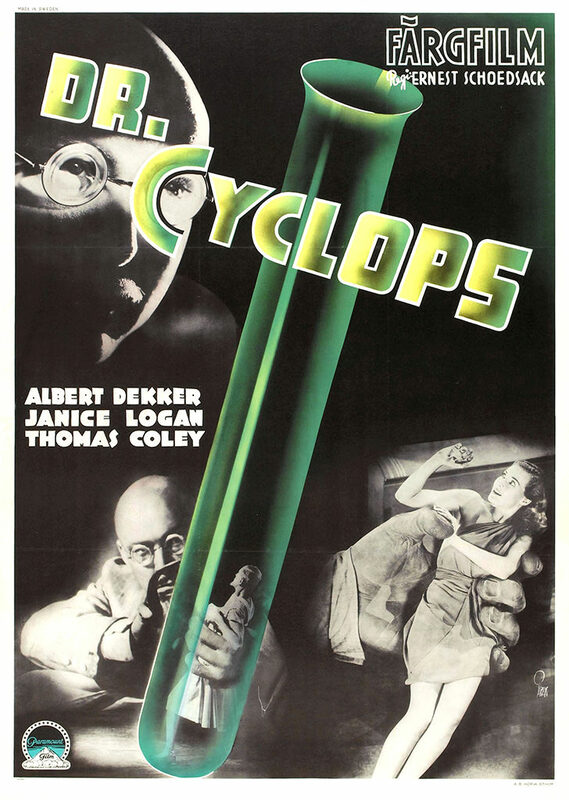 Albert Dekker has an unique physique that combined with the spectacles looks imposing, not unlike a cyclops of greek legend (bulkier with obviously limited vision). 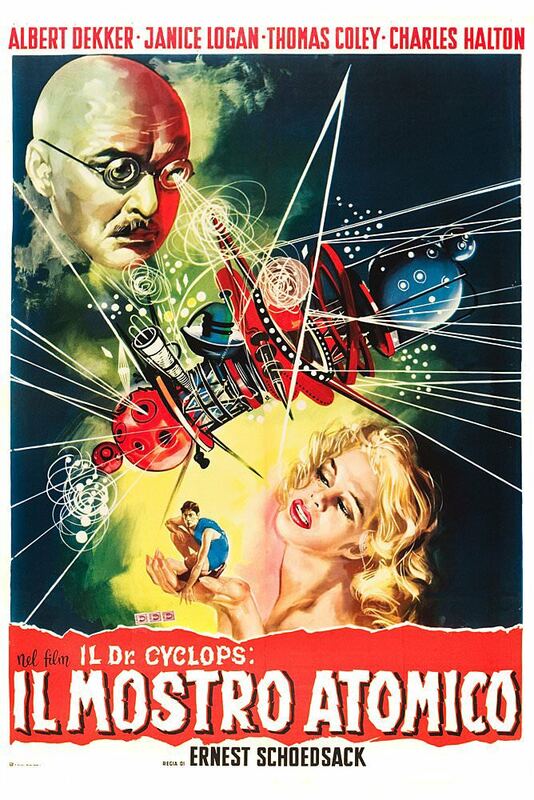 I think his combination of scientific reserve and maniacal 'makes' the film more than the effect. It's interesting the assortment of miniature dress the characters chose. Thanks to Alyxstarr for posting the Svengoolie material corresponding with this, it was my first exposure to the horror host and was fun. He's a corny fellow but energetic. This film perhaps suffers for the main “trick” being done better and more often in future films, but at the time I’m sure it was quite stunning to see the miniature effects.. I thought that there special effects were very well done for a 1940 film, I'd be curious to see more of how they pulled it off. I have seen more recent films that looked more fake than this. Agreed. The DVD version I watched looked really good and the effects were surprisingly impressive. I don't dislike them but I don't get too excited by movies about shrinking people but this is my favorite of the ones I've seen. There's a nice pulpy feel, like something out of the science fiction magazines of the era (not that I was around then mind you but I have read a lot of SF from that time). I especially liked the look of the technology including the protective suit. Also, the eerily colored beginning of the film really sets a nice tone. The jungle setting is exotic and I'm glad they used some jungle dangers when the heroes were outside the compound. I was glad to have a chance to revisit this film - something I wouldn't have done on my own right now. I also think that the effects hold up well even though here were a few instances where the giant doctor was a little fuzzy when a shrunk person was in the foreground. And I also wondered about the fancy new duds. That must have been quite a nap the doctor took. And yes, I agree that Albert Dekker really made the movie for me. The three-strip Technicolor was vivid and like others I thought the effects mostly held up and Albert Dekker's performance made it a fun watch. I've never heard of this movie, and I'm eventually planning on watching all the Universal horror disks before I turn 100. I've never really loved the shrinking people effect, but I think for the most part it works quite well. When Dr. Thorkel kills Dr. Bulfinch with the chloroform, that effect looks really good. Poor Satanus the cat. He was just not happy for his scenes. Last edited by WillieMLF; 10-08-18 at 12:00 PM. I expected to think this one was pretty bad, but it actually won me over. It had a certain charm to it. I thought it looked great and the effects held up remarkably well aside from a few shots. While I know this is a first-time view for me, there were many scenes that felt so familiar to me. Has this been used in other movies? The color is a bit garish perhaps, but I liked it. This was actually the first three-strip Technicolor horror/sci-fi film, so that could be why the colors looked hyper-real. 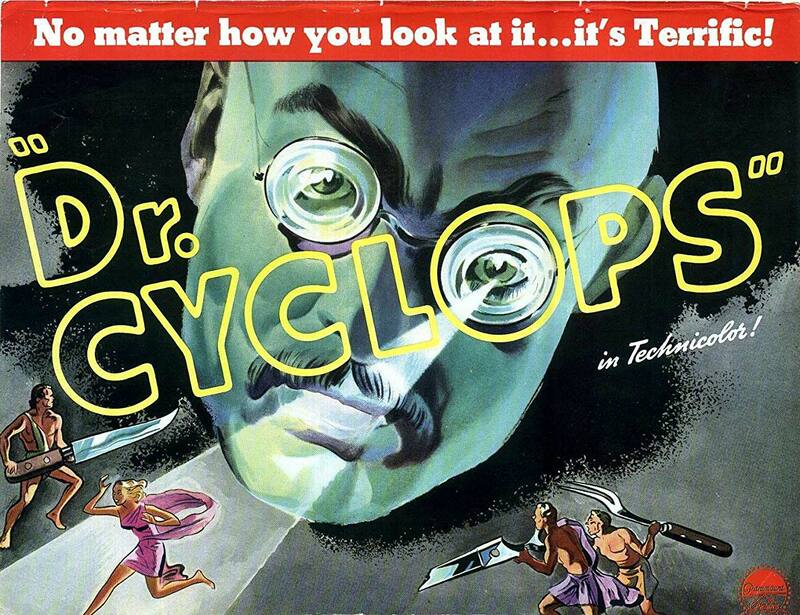 (Doctor X and The Mystery of the Wax Museum were done in the older two-strip Technicolor process.) I thought that the effects were as good as those in The Incredible Shrinking Man, and miles above those in Attack of the Puppet People. It reminded me most, however, of the (beloved?) Saturday-morning show Dr. Shrinker.